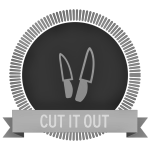 To earn the “Cut It Out” badge, start with an X ACTO knife, box cutter or other cutting device. 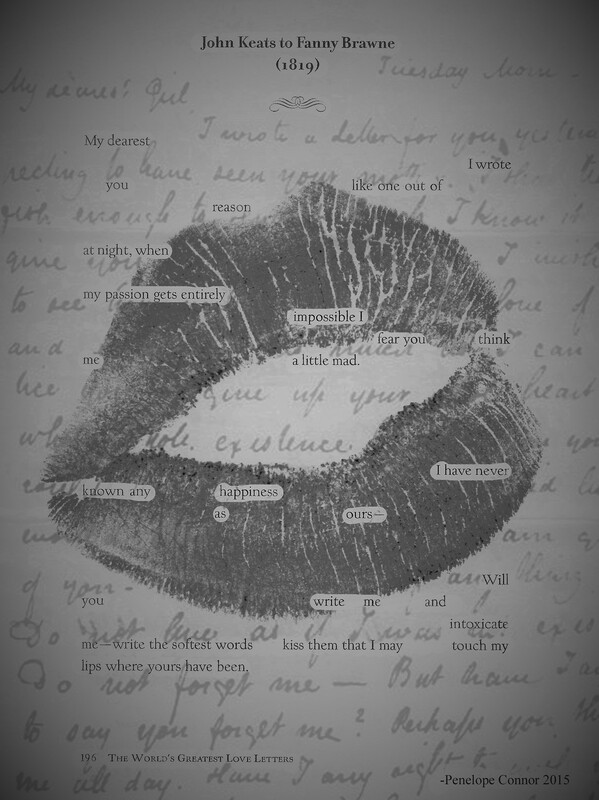 Find a text you don’t mind cutting up — or make a photocopy of the text if necessary — and physically cut out the unused portions to create an erasure poem. Watch James W. Moore’s video, “Making Heaven,” which captures his process of creating poems using this approach: https://www.youtube.com/watch?v=4FAxSv1sZOs&list=UUMgTlLB9YpdkRZHiX3zOo3g&feature=share&index=2 Scan your completed work — or take a picture of it — and upload it to the site. Cite your source text at the bottom of your post. 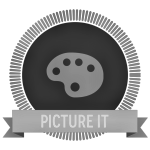 To earn the “Picture It” badge, take your inspiration from Tom Phillips’ A Humument (http://www.tomphillips.co.uk/humument/slideshow/1-50) and create a poem that’s part erasure, part art. Instead of simply marking out the text you don’t need, use markers, crayons, paint and other materials to turn it into a picture. Not a strong artist? Experiment with collage, using cutouts from magazines and other sources to obscure your un-used text. Scan your completed work — or take a picture of it — and upload it to the site. Cite your source text at the bottom of your post. luminosity shifts dusk to twilight. with glee at the sight. 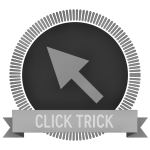 To earn the “Click Trick” badge, start by gaining access to Adobe Photoshop or Adobe Acrobat. Free 30-day trials of both software programs can be downloaded at adobe.com/downloads. You’ll also need a digital copy of your source text in an image or PDF format. If you are using Adobe Photoshop: Open your source text in Photoshop — when you do so, it automatically opens the image in its own layer. Add a new layer on top of your source text. Select the brush tool and choose a color swatch of your choice. You can use the eyedropper tool to select the color of your page background (for a true erasure look), or select another color of your choice. 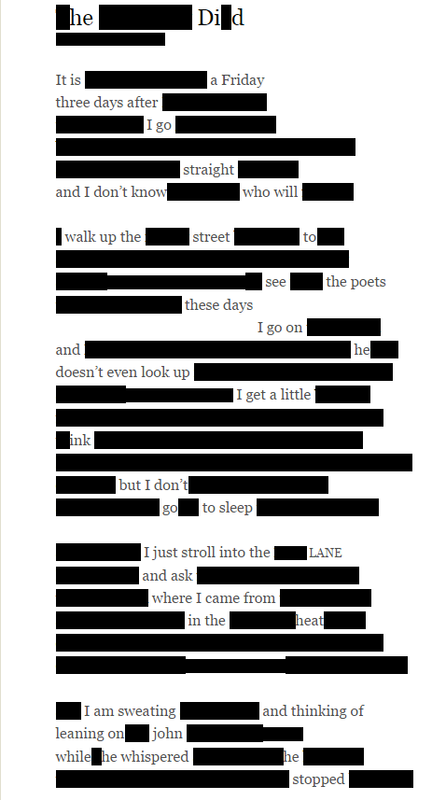 Paint over your source text, obscuring lines until only the words of your erasure poem remain. 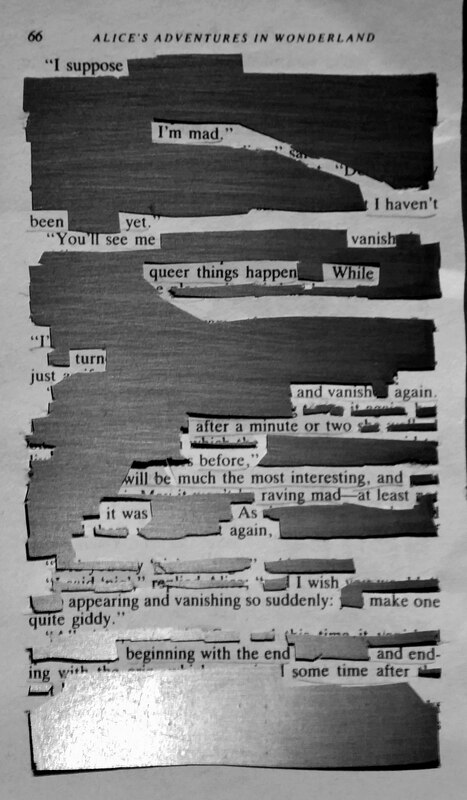 For a video tutorial, watch Jenni B. Baker’s 8-minute demonstration of how she creates erasure poems for her Erasing Infinite project. Save your completed work as an image file (JPG or PNG preferred) and upload it to the site. Save your completed work as either an image file (JPG or PNG) or a PDF, and upload it to the site. Regardless of which format you choose, be sure to cite your source text at the bottom of your post. eyes and lips, fingers, shoulders, hips. with these insistent questions and their answers. Gazing inward, I wonder — unsettled and unsure. 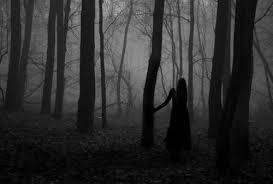 vast silences are filled with unexplored truth? your tells, sudden shifts, fluid movements. more turbulent galaxies, folding and unfolding. the universe, I stand staring out, peering in. 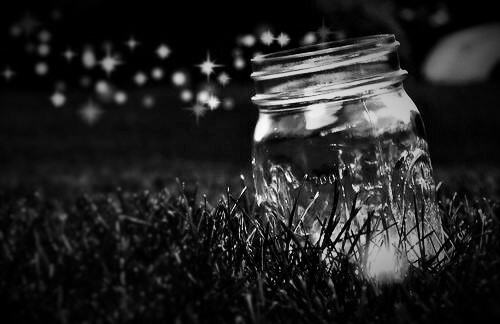 spinning in your dazzling light — you close. of you can I take from this close encounter? 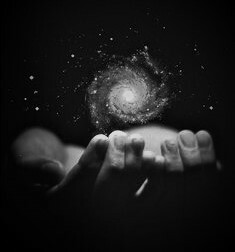 Silent and over-thinking — with galaxies in my hands. see the poets these days. but I don’t go to sleep. 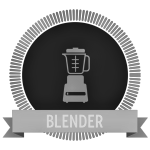 To earn the “Redacted” badge, visit http://www.erasures.org and follow the directions to drag the blackout icon to your tool bar. From there, navigate to a website or other source text. Click on the blackout icon to activate the tool, then use your mouse to highlight words on the screen. As you highlight sections and release your mouse, you will see a black bar appear over them, digitally blacking them out. Leave only the words that comprise your poem exposed. Take a screenshot(s) of your finished product and post it to the site. To learn how to take a screenshot based on your operating system, visithttp://www.take-a-screenshot.org/. Credit your source text at the bottom of your post. Frank O’Hara, “The Day Lady Died” from Lunch Poems. Copyright © 1964 by Frank O’Hara. Reprinted (on the Poetry Foundation site) with the permission of City Lights Books. He is surrounded by clouds. her gown is quickly soaked. 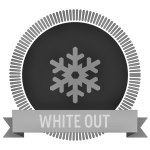 To earn the White Out badge, first get your hands on a bottle of white out, a white-out pen or white paint. 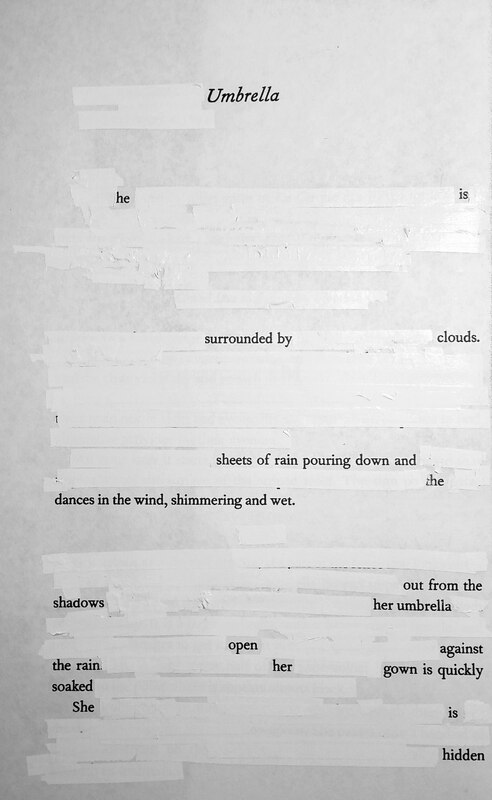 Find a text you don’t mind marking up — or make a photocopy of the text if necessary — and progressively cover up lines of text with white out until only the words composing your erasure poem remain visible. Scan your completed erasure as an image — or take a picture of it — and post it to the site. Note: You must complete this erasure process by hand — no digital tools allowed (you’ll do that for another badge). 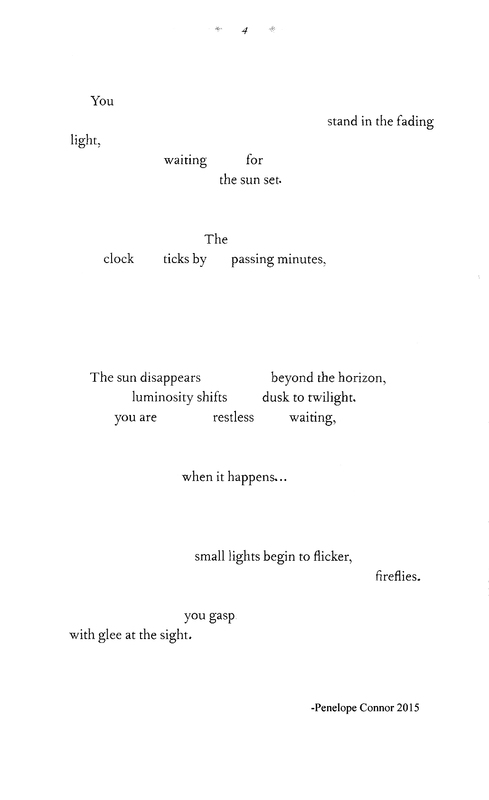 To see a sample white-out poem, view excerpts from Mary Ruefle’s A Little White Shadow on the Poetry Foundation’s website: http://www.poetryfoundation.org/poem/178610. Scan or take a picture of your poem and upload it to the site. Credit your source text at the bottom of your post. Tonight I walked to dinner. carries us into the center? in his bones. What is asked? We will die best, used up. yellow coat and give me stories. To earn the Open Book badge, choose a book or magazine as your source text. Select a two-page spread, and scan through the text, copying down any interesting words and phrases in the order you encounter them on the page. When you’ve finished, write a poem using only these words and phrases without changing their order. 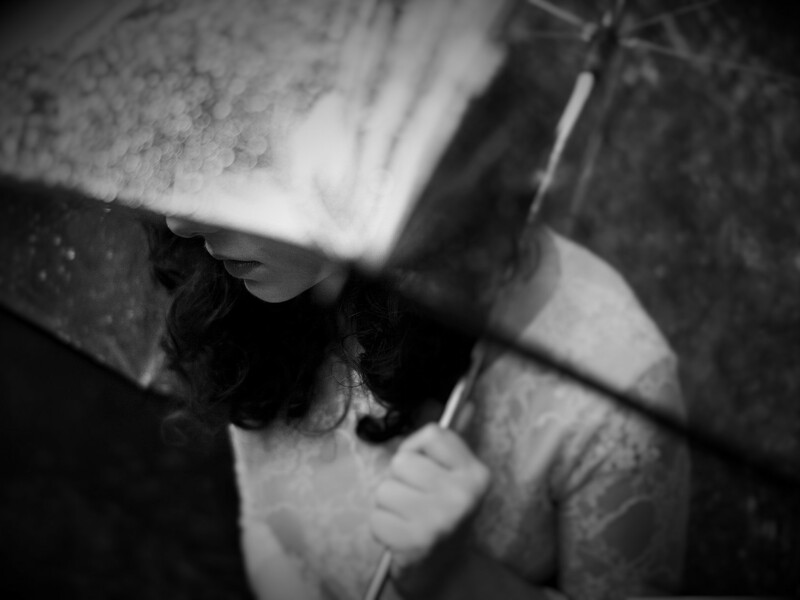 No non-found words may be included in your poem. Poems should be presented in type, similar to a standard poem, and not contain additional visual elements or emphasis (you’ll do that for other badges). Credit your source text at the bottom of your post. eyes — still white lightning. cloud or a cyclone, breathless? eyes so inviting, without guile. the borderland of ecstasy, inviting. now he looked — liquid blue eyes. Copy down the result exactly as it comes out of the Text Mixing Desk. 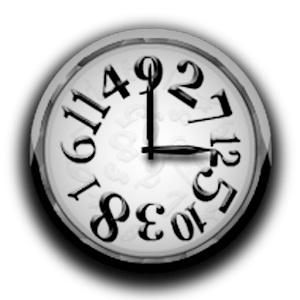 Repeat the mixing process with additional sections of text if you want a longer language bank to work with. Craft your poem from the results using words IN THE ORDER they appear in the original. You may delete words but not reorder them. Credit your source text at the bottom of your post. 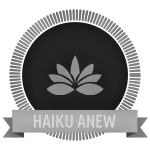 Craft a new haiku (or series of haiku) from the resulting text, using the results in any order you choose. Note: you may need to intervene in the resulting text to create a poem that fits the haiku structure while still making sense. Literary journals like Frogpond (http://www.hsa-haiku.org/frogpond/), Acorn (http://acornhaiku.com/) and Bones (http://www.bonesjournal.com/index.html) publish haiku — start there if you’re having trouble finding your starting “source” haiku. Credit your source haiku at the bottom of your post.